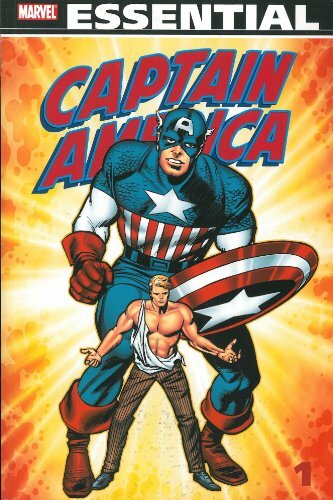 What's the Difference between Captain America the Comic Book and Captain America: The First Avenger the Movie? Captain America starts to fight in the war right away. He is only part of a USO tour for almost a year before he starts to engage in warfare. Peggy Carter is an American. She met Captain America after he started fighting the war. She is British. She met Steve before he became Captain America and acted as his chaperon before he underwent his transformation. Bucky Barnes was a child soldier who met Captain America when he was acting as a private at a boot camp. Bucky was Steve's childhood friend. He went to save him from Red Skull. Red Skull wore a mask that looked like a red skull. His face looked like a red skull as a result of the incomplete serum he took to gain his powers. Nick Fury was part of the Howling Commandos. He isn't even born at that time.